Range Rover celebrated its new "Evoque" model by creating a special contest for music producers to submit music with the chance of being featured in one of their TV advertisements, plus a release on Treibstoff Recordings. Michael Nielebock was the chosen winner with his track "Pure Vision." 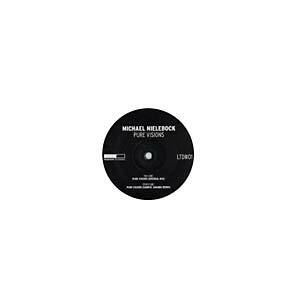 The A-side contains the original track written by Nielebock with minor additions from Treibstoff founder Marcel Janovsky and DJ partner Gabriel Ananda, and the B-side includes a remix by Ananda. This is the first release on Treibstoff's limited series.